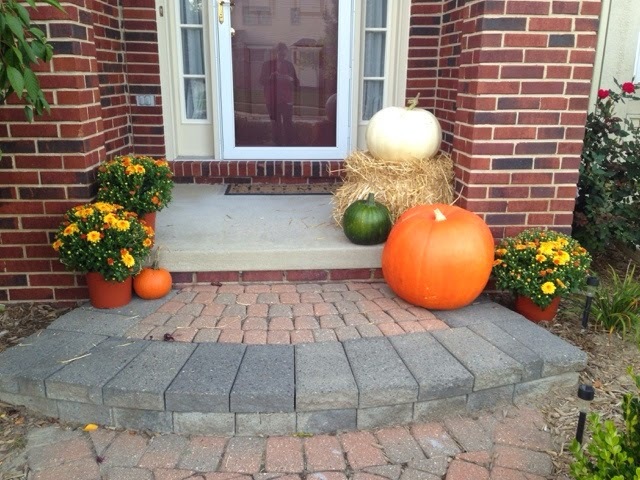 It's fall here in Southeast Michigan. 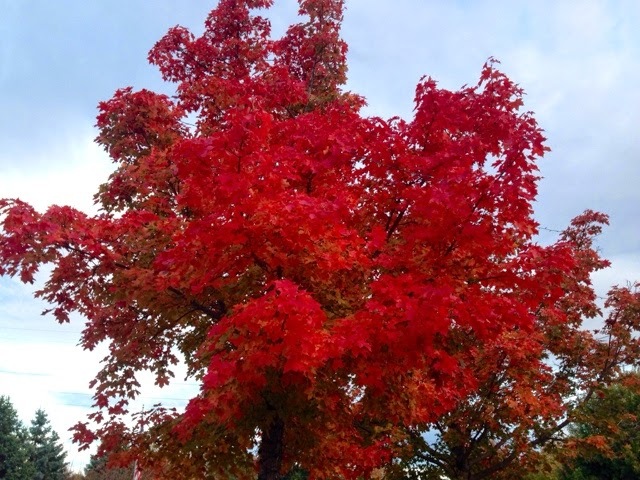 Over the past few days, the colors have really popped, and it is beautiful. 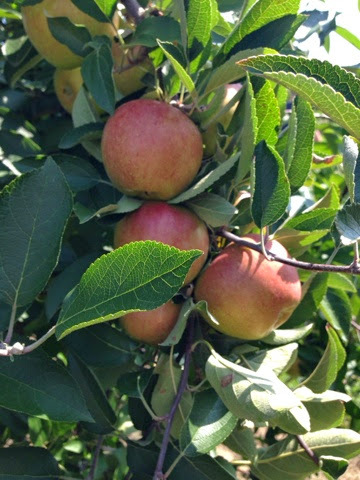 One of my favorite things about this time of year is visiting our orchards. When I lived in Texas and Florida, this was one of the things I missed the most. I didn't realize how special and beautiful fall was until I didn't have it. Let's face it, a Pumpkin Spice Latte simply doesn't taste good when it's 80 degrees outside. And they don't have You-Pick Orange Groves. 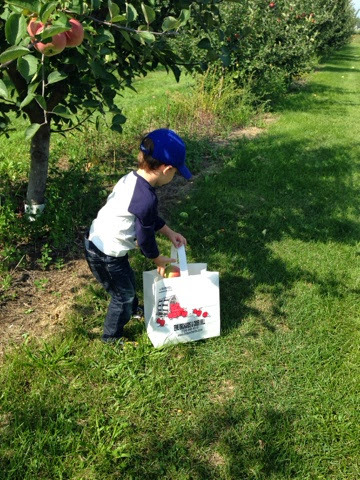 In celebration of the season, we decided to go to Erie Orchards to do some you-pick apples. Erie is a small city just south of Monroe. It is a nice, country-road drive to get out there. It is certainly busy this time of year, but it is worth it! The warm cider and donuts are amazing. Try the apple fritter, they are the best. There is live music and street fair-like stands with handmade goods. There is also a small petting farm and hay bales for the kids to climb around on. You don't have to pick your own apples, but if you'd like to, there are just about every type of apple you could imagine. It is busy this time of year, so try to get out there a bit early in the day to beat the crowd. It cost us $1 to park, but they also gave us a coupon for $1 off any purchase. They even have you-pick pumpkins! Again, you don't have to pick your own pumpkins, but it is fun to walk through the patch and cut the pumpkin off the vine yourself. 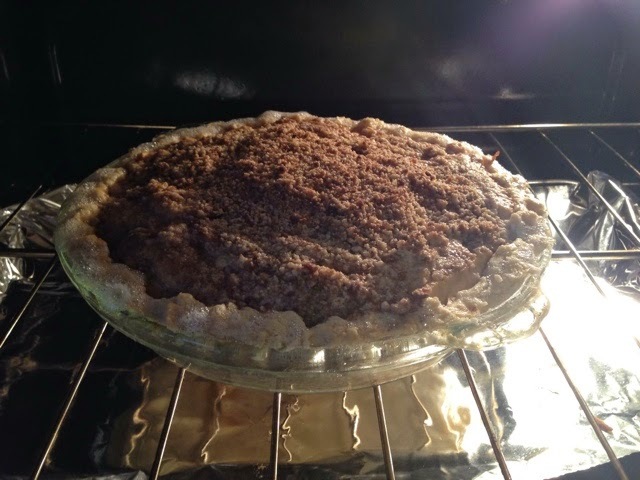 And here's our first attempt at an apple pie. It was awesome, and we used this recipe from the Pioneer Woman.